Cottonwood Tree (Populus trichocarpa) – Effortlessly radiate and be Love. Spread seeds of Love to the world. Grow the tree of Love by looking deep into the swampy waters of your unloved emotions to heal them with the warmth of your Sun, your Higher Consciousness. Inspires heartful harmony between species. I AM Love and harmony seeding effortlessly throughout Nature. 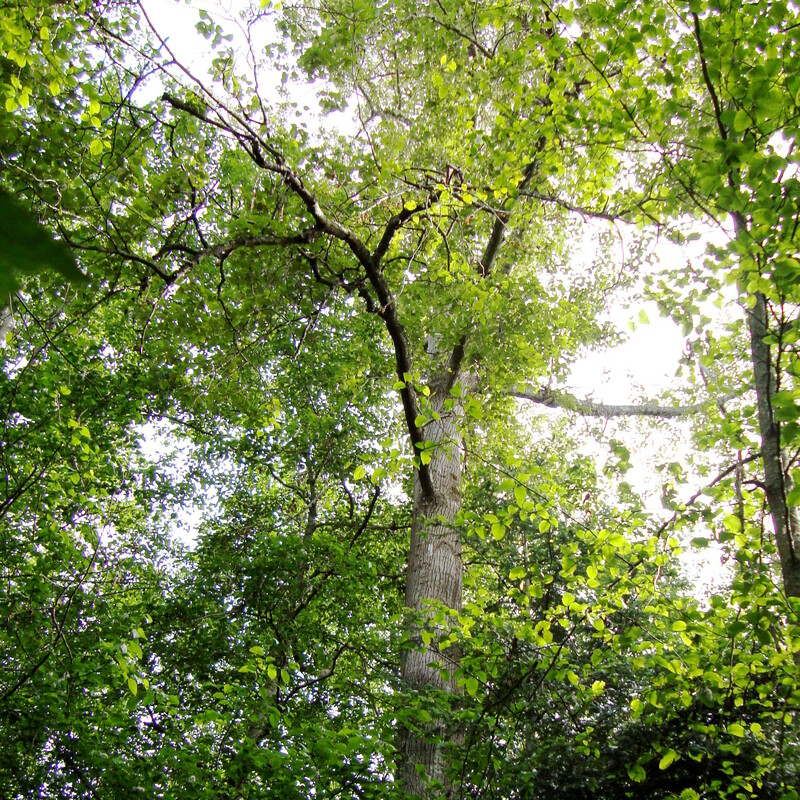 Cottonwood Trees are native to Western North America and grow in moist to swampy sites at low to medium elevations. They can grow to over 100 feet tall and live as long as 400 years. The flower catkins bloom before the heart-shaped leaves open. Leaf buds are sticky with a fragrant resin that makes a wonderful antiseptic salve, and has been used historically for everything from gum to glue and waterproofing. Seeds are covered with white fluffy hairs, giving cottonwood tree it’s name. Use Cottonwood Tree Essence when you want to radiate Love but don’t feel able. Helpful when you are unable to sink your roots into the waters of your unloved emotions and bring them into the light. Useful when you feel a lack of harmony with Nature. Cottonwood Tree Essence brings you into the swampy waters of your unloved unconscious emotions and nurtures them to grow into Love by encouraging you to shine the warmth of your Sun, your Higher Consciousness, on them. Instead of acting out destructive behaviors resulting from soul loss from the culturally conditioned belief that humans are separate from the rest of nature, unleash your Love and let it become your daily operating system. Cottonwood Tree Essence works individually to inspire harmony within your connection to Nature, and collectively to inspire harmony within all of the species of Nature, including humans. 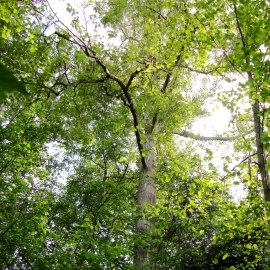 Cottonwood Tree Essence was made by the no-pick method of working directly with the plant spirit. While the essence was being made a matrix of amber, aquamarine, drusy quartz, green heulandite, green tourmaline, icosahedron cut quartz, moldavite, ocean jasper, pink cobalto calcite, pink opaque calcite, quartz points and wavellite crystals were placed with the tree and the mother bottles. The sun acts as a transformer to step down spiritual energies from higher dimensions. While the essence was being made, Amber acted as a lens to receive and focus sunlight for this purpose. Aquamarine is a cardinal water element stone. It gently and deeply clears your emotional body and facilitates clear communication. Drusy quartz crystals help to energize and stabilize your subtle bodies. Green heulandite promotes conscious alignment with the Love frequencies of creation. It fosters compassionate, loving, joyful and blissful states of consciousness. Green tourmaline helps you to overcome fear of change and enlivens your energy fields. It holds the essence of the plant kingdom and assists with transferring the vibrational frequency of minerals to the vibrational frequency of plants. Icosahedron cut quartz has 20 (5X4) equilateral sides. It is a bridge between the 5th Dimension - the entry into the unified Spiritual realms - and the 4 cardinal directions (N, S, E, W) on Earth. Moldavite was formed as part of meteorites that fell to Earth more than 15 million years ago. It serves the inhabitants of Earth by facilitating strong, clear, and direct interdimensional interconnectedness between your consciousness and the higher planes of Light. Ocean jasper is calming, protective and assists you to find and clear patterns of energy that create physical imbalance and disease. It heals emotions, lifts your mood, and brings joyful peace. Pink cobalto calcite embodies deeply compassionate, unconditional love and acceptance, while balancing your feeling-oriented and action-oriented aspects. Pink opaque calcite assists you to gently release buried anger or grief - that may be covered over with intellectualism, cynicism or sarcasm - while supporting and uplifting your heart. Quartz points open and clear all chakras and energy pathways, clear and expand the energy fields and the mind to touch the spirit world, and amplifying white Light. Wavellite clears cellular memory and engenders health by unraveling attitudes that create dis-ease brought on by soul loss from shock or trauma. Its purpose within the Cottonwood Tree Essence is to heal the soul loss brought on by the culturally instilled belief that humans are separate from the rest of nature. While the Cottonwood Tree Essence was being made, red-tailed hawk feathers and the sound of rattle and spirit song coming through Diana’s voice were imprinted into the essence.